Welcome to the Tax Deadline Edition of CryptoLogic. Right now is the big push towards tax year 2017’s first filing deadline, which as we all know, occurs on April 17, 2018. What you may not be aware of, however, is that all individuals are actually permitted a six-month extension to file until October 15, 2018. Thus, if you don’t have all your crypto information in order, it may make sense to extend your returns, take a step back, and evaluate your 2017 activity to ensure correct reporting. Note, this would simply be an extension of time to file, not an extension of any payment. So, if you aren’t able to file a complete and accurate return by April 17, but anticipate owing money when you do file, you’ll need to estimate that amount and pay with your extension. If you don’t estimate your tax liability reasonably, it’s possible your extension may be deemed invalid and you could be subject to penalties for the late filing of a tax return. There are different rules on extensions depending on jurisdiction. Federally, for example, they only require a reasonable estimation of your tax liability to have a valid extension – no payment required (of course, you will be subject to interest charges on amounts not paid). New York requires actual payment of 90% of the ultimate balance due (although if you miss this target for “good faith” reasons it is possible to get penalties waived). It’s very important to know these rules, particularly if funds aren’t available to pay all your estimates in each filing locale (i.e., you should probably pay NYS before Federal if you absolutely have to choose, not only because they might invalidate your extension as described above, but also because their interest rates on late payments are much higher than the IRS’s rates). Now, let’s make a quick pivot into the actual tax reporting and calculation aspects of crypto. If you invest in the space, you understand that the logistics are vastly different than equities. If you aren’t involved, by means of example, say there is a hypothetical investor who could honestly say she doesn’t trade “all that much”. As such, in tax year 2017 she only (partly sarcastic) executed trades on the exchanges Bittrex, Binance, Cryptopia, Kucoin, HitBTC, Coinbase, Bancor Network, GDAX, Gemini, & Liqui. Why? Because Dragonchain (DRGN) was only available on Kucoin at the time she wanted to buy it. VeChain (VEN), early on, was accessible to her only via Liqui. Similarly, she could only get GBYTE on Bittrex, and countless other “shitcoins” (her words, not mine) are only accessible on Cryptopia. Essentially, our mystery investor wanted to buy some token or coin, but she couldn’t do it on an exchange where she had an account, so she made a new one, transferred in some funds, and made a trade. Now it’s time to file a tax return and our investor wants to report all activity, and pay all tax due. Not only will she most likely not be provided with a Form 1099 from any of these exchanges (some provide 1099-K to report gross proceeds from trading, but that honestly isn’t helpful at all for tax reporting), but due to how most exchanges operate, almost all of her trading activity is priced relative to the common trading pairs of Bitcoin (BTC) or Ethereum (ETH), rather than relative to USD, which of course is the relevant exchange for US tax reporting purposes. As a result, two questions arise: What should our taxpayer do?!? What should she do going forward to ensure easier compliance next time around? First step, log into every exchange you’ve ever used as soon as possible and attempt to download as much history as they have available. Some of the exchanges are beginning to wipe history after a few months so grab as much as is accessible. If you filed your 2017 tax return, or are about to, I’d like to assume you have all the 2017 information handy already. That’s fantastic, now go and get everything from 2018 right now just in case the exchange chooses to remove your trade history. Next step, give me a call! Maybe that was a bit too tongue and cheek, but after evaluating the information you were able to cull together, it might be time for involvement of a tax professional. There are numerous ways to piece together trading history in a coherent manner to accurately represent the yearly tax ramifications, and not all work for each scenario. For some investors, it may be possible to create a yearly gain/loss report by simply using excel. Other clients with missing information may require a more deductive approach with some conservative assumptions. Lastly, for some it may be worth purchasing access to one of the many “tax tracking” softwares, which have sprung up the past two years. Many exchanges do permit download of account history as a CSV file, which can be imported into various third party providers. Additionally, some exchanges can be downloaded directly into your software through use of an API solution. However, I’ve tested and used many of these programs (both personally and with clients) and they do have limitations, particularly when investors are transferring between many exchanges and/or participating in Initial Coin Offerings (ICOs). If you haven’t yet computed your gains and losses, haven’t been tracking trades, and want to give it a shot in excel, here are a few things to consider. Matching up lots can be extremely difficult and time consuming. While gain computations for selected coins and tokens, which aren’t base trading pairs (aka, not BTC or ETH), can be relatively simple because they are easily traced, the source of your BTC and ETH which is later sold for other altcoins, could be much more difficult to ascertain as these could’ve originated from Fiat to crypto, or been the result of any number of altcoin sales. Investing in an ICO is typically the same as selling your crypto for another token. However, there may be special circumstances if you invested in an ICOs under SAFT (Simple Agreement for Future Tokens) or SAFE (Simple Agreements for Future Equity), which warrants further discussion with a tax advisor. If all of this is overwhelming, you aren’t alone. The computation is highly complex and it may take a considerable amount of time. One potential shortcut is available if you know, or can calculate, the following three pieces of information. Imagine a taxpayer held zero crypto prior to 2017, so Item 1 = 0. In 2017, the taxpayer used $10,000 to convert into crypto during the year. If the taxpayer can accurately determine that as of December 31, 2017 the cost of his current crypto holdings was $25,000, it must follow that the taxpayer realized gains of $15,000 during tax year 2017. 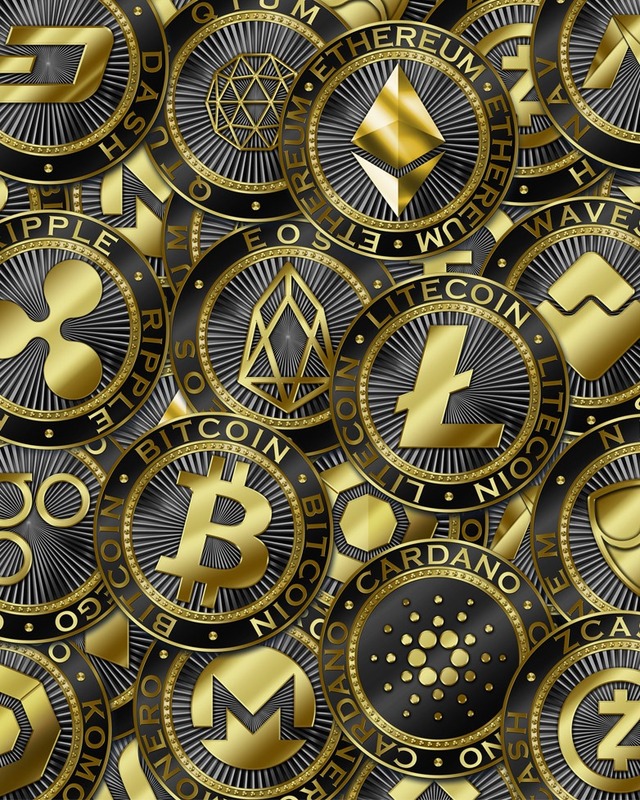 Now, if you feel comfortable with the gain or loss calculations made for your 2017 crypto trading, the tax reporting is relatively strait forward, but there are a few presentation options. Assuming the crypto activity was for investment purposes, the gain and loss information should be reported on Schedule D. Part I of this form is for short-term gains and losses (assets held one year or less prior to sale); Part II is for long term gains and losses (assets held more than one year prior to sale). In both Part I and II, you’ll notice a variety of boxes to fill in proceeds and cost information. Given that crypto trading information is not reported to the IRS (1099-K information is irrelevant), your gains and losses should be reported on Box C for short term gains and losses, and Box F for long term. Whether or not you list every transaction will be a personal choice (it can be very time consuming), but know that taxpayers are allowed to attach documents to their return, so writing “See Statement A attached”, and showing total proceeds and cost in one transaction is valid and may prove more efficient. This approach requires attaching an easy to understand document, which ties to those numbers. It is important to note that labeling the attachment (i.e. “Statement A”) and including your name and social security number are essential for the IRS to use the document to follow your activity. To prevent any future loss of data, taxpayers should frequently download their trading history from exchanges. If available, check the exchange policy on data deletion and set a reminder to extract the information a few days prior to this occurring. If activities are substantial, it might be best to engage a trade tracking software provider. If you set up the API download system, it can give you daily reports, which may also be useful in managing tax expectations/liability on a go forward basis. Remember, although this appears complex in your first time out, there are thousands out there in similar situations as well as a variety of service providers waiting to assist. Additionally, setting up best practices early on should alleviate the difficulty, and cost, associated with accurate tax reporting. The IRS’s focus on this space is sure to enhance, so investors who make a good faith effort to correctly report gains today will be in a much better position when that happens. Good luck to all.